I've added three blogs to the honor roll. Each is worth frequent visits by any self-respecting California aficionado. Craig Hodgkins blogs from Lo-Cal on the media, movies, and literature. He has been researching Frank Fenton, FOC*: mostly straightening out the facts of his life and work, which have been garbled repeatedly. Frances Dinkelspiel is writing a book about West Coast financier and UC Regent Isaias Hellman. That's scheduled for publication this fall by St. Martin's Press. She attended Chuck Wollenberg's book talk and blogged on it, too. Steven Rubio is my main man from graduate school at Cal. He taught California Culture at SF State and turned me on to Raymond Chandler's The Big Sleep, among other things. This week I received page proofs for the Bonnie Cashin lecture, delivered last year at UCLA Library. 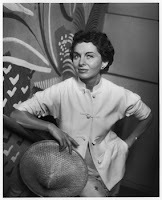 Bonnie Cashin was a fashion designer, and the booklet's title is Always in Fashion? Carey McWilliams, California Radicalism, and the Politics of Cool. Gary Strong, University Librarian at UCLA, got Kevin Starr to write the preface. Both men are former California state librarians. Kevin also figures--somewhat surrealistically--in the lecture itself. Patrick Reagh, the book designer and letterpress printer in Sebastopol, did a great job on the cover and interior. Pat will print 1,000 copies, which the library will distribute. The Ramparts project is under way--I haven't signed the contract but have accepted the terms--so my next book will be on the history and influence of the San Francisco muckraker. Just in time, the Wall Street Journal is helping out. A book review today mentions the 1967 Ramparts article that exposed the CIA's covert funding for anticommunist organizations and "set off (in the words of one CIA veteran) 'a drumfire of editorial denunciation.'" The article goes on to say that the Ramparts article "arguably harmed the cause of anticommunism." Well, yes. That can happen when an agency designed to collect intelligence abroad decides to fund student organizations at home. And things get stickier when it illegally spies on the Americans who exposed its illegal activities abroad. The Best Berkeley Story Ever? 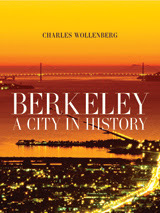 I went to the Cal faculty club last night to hear Chuck Wollenberg talk about his new book, Berkeley: A City in History. Fanatical readers of this blog will recall that I was born in Berkeley and received some formal education there. So I was ready for Chuck's talk. Great turnout, both in numbers and wattage. After dinner, Chuck read several passages from the book, but one anecdote must be recorded immediately. Some of Chuck's relatives on the Wollenberg side of the family grew up near the home of Bernard Maybeck, the famous architect of the early twentieth century. In a burst of progressive thinking, Maybeck and his wife decided not to name their son; instead, they called him "boy" until he was old enough to choose his own name. When that fateful day arrived, Boy delivered his verdict: His name would be Wollenberg. This was too much, even for the Maybecks. Eventually they settled on Wallen. This little story says a lot about Berkeley, I think. Also human nature. Now the North County Times is in on the action. In his column for the Escondido paper, Phil Strickland has a McWilliams quote of his own: "Historian Carey McWilliams wrote in 1946 that 'God never intended Southern California to be anything but desert ... Man has made it what it is.'" For those of you taking notes, that would be from Southern California Country: An Island on the Land. "California is like the mechanism of the rachet wheel and pawl," wrote Carey McWilliams in his wonderful book, "California: The Great Exception." "A burst of energy, another explosion, sends the wheel spinning forward and then it locks until the next burst of energy sends it spinning again. When Californians speak of oil as "black gold" and lettuce as "green gold," the reference to gold is more than a figure of speech." McWilliams noticed this pattern back in 1949 - and he noticed its impact, too. "It goes without saying that the process is searing and disruptive, making for disequilibrium and a noticeable lack of stability, producing many strange institutional maladjustments and social derangements," he wrote. Note the brim on Daniel Day-Lewis's hat. Inquiring minds want to know: Is it pencil-rolled? 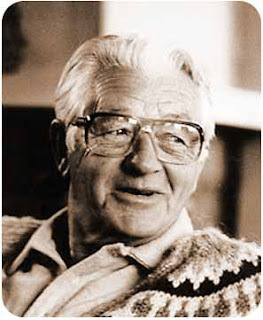 I'm immersing myself in books by and about Wallace Stegner, the novelist and longtime director of Stanford's writing program. Reason? Sorry, that's classified. But I can tell you that a weekend conference on Stegner and his legacy is shaping up in Point Reyes Station, not far from my San Anselmo shack. Robert Hass will chair it, and it looks tasty. The confirmed lineup includes Robert Stone, William Kittredge, Rebecca Solnit, Barry Lopez, and Page and Lynn Stegner.